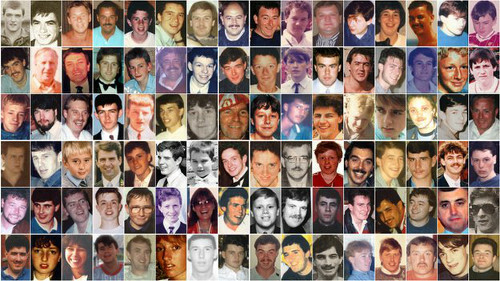 A teenager who died at Hillsborough had tried to swap his standing ticket for a seat, the inquests into the 96 deaths heard. Paul Carlile, a 19-year-old plastering apprentice from Kirkby, had travelled to the semi-final on April 15, 1989, with friends. But the court, in Birchwood Park, Warrington, heard he had left the group, including friends Ian Ford and Paul Murray, outside the stadium. Matthew Hill, counsel to the inquests, said: "Paul Murray stated that Paul left them to go to a pub that he knew to see whether he could swap his standing ticket for a seated ticket." 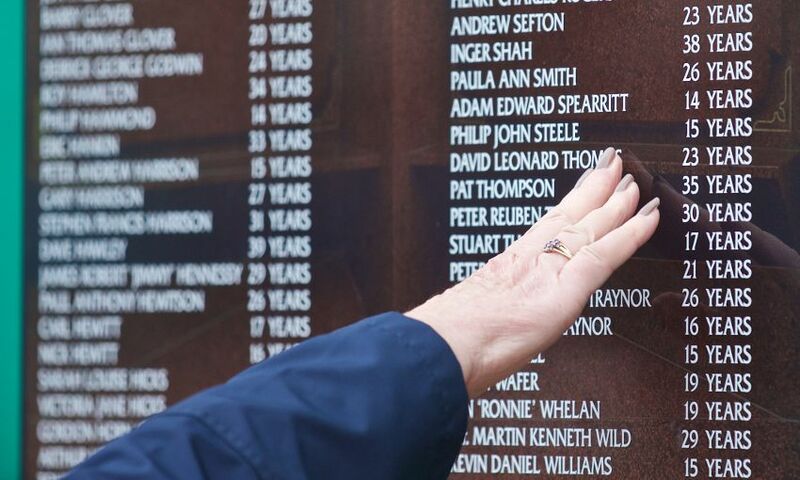 The inquests were shown photos of Paul outside the ground at 2.53pm. Footage from 2.56pm showed him in pen three of the Leppings Lane terrace, but a photo taken at 3.08pm showed he had moved to pen four, the next enclosure along. Mr Hill told the court: "We haven't been able to identify any witnesses who assist further as to Paul's experiences in the pen, about how he may have moved between them or about how he was recovered from them." Richard Goulding, who was a detective constable in 1989, said he was driving down Leppings Lane with colleagues at about 3.15pm when they received a message. He said: "We couldn't work out what was happening. We knew something was happening in the ground, so we thought we'd better stop." He said he and fellow detective constable Philip Pont approached gate C at the Leppings Lane end and saw Paul being carried out. He said: "My recollection is that he was literally being carried at shoulder height by three or four males." He added: "They literally placed Paul at our feet and said 'can you do something for him?' and they just melted into the crowd." In a statement, he said: "Together with DC Pont and an unknown ambulanceman I then attempted to revive Paul. "However at this time he was not breathing and showing signs of purple discolouration around his face. "After several minutes of resuscitation, he showed no signs of recovery and it was not possible to find a pulse. He was obviously dead." Mr Pont said Paul was motionless, blue in the face and not breathing. He said an ambulanceman gave him a bag and mask to try and resuscitate Paul, but there was no response. Mr Goulding said he thought he and Mr Pont made a joint decision to stop resuscitation. He said: "We realised we weren't achieving anything. "That's when we looked around and saw that more casualties had just been sort of laid on the ground around us." Mr Goulding was shown CCTV of two casualties being carried out of exit gate C and said he thought it was more likely that the second casualty, brought out at 3.18pm, was Paul. The court heard he remained with Paul when he was confirmed dead by Dr David Monaghan at 4.35pm and when he was transferred to the gymnasium. Paul was identified by his uncle, George Peake, at Sheffield's Medico-Legal Centre the following morning. A fan who helped to carry a victim across the pitch said he was told to leave him there. Ian Johnston said he had been among supporters who carried 50-year-old Raymond Chapman, from Prenton, on a hoarding to the Spion Kop end of the ground. In a statement he said: "Together with my mates, we carried him on the hoarding down to the Forest end at the Spion Kop. "We placed him on the ground and somebody told us to leave him there on the piece of hoarding. "I don't know at that stage if he was dead or alive." He said that someone had tried to give the dad-of-two mouth-to-mouth but had been told it was "no use". He told the court: "We were told to leave him because, I think it was a policeman who said that, because it's futile, because he thought he had passed away." Photos showed Raymond on a hoarding at the Spion Kop end with Mr Johnston and Geoffrey Glave, a PC. In a statement, Mr Glave, who has since died, said: "I went over to a man who was on the hoarding board who was lying on his side and appeared to be frothing at the mouth." He added: "I then called a nearby doctor over to me who then examined Chapman and stated to me that he was dead. "In view of this, I did not give resuscitation and covered him over with an inspector's jacket and, together with Ian Johnston, moved him off the pitch area to where the hoardings boards had stood prior to being removed." He said he later laid two other victims, Paul Hewitson, 26, and Eric Hughes, 42, next to him, before taking them into the gym when he learnt it was being used as a temporary mortuary. The court heard Paul was confirmed dead by Dr Matthew Bull at 4.07pm and identified by friend John Pleavin at 11.15pm.